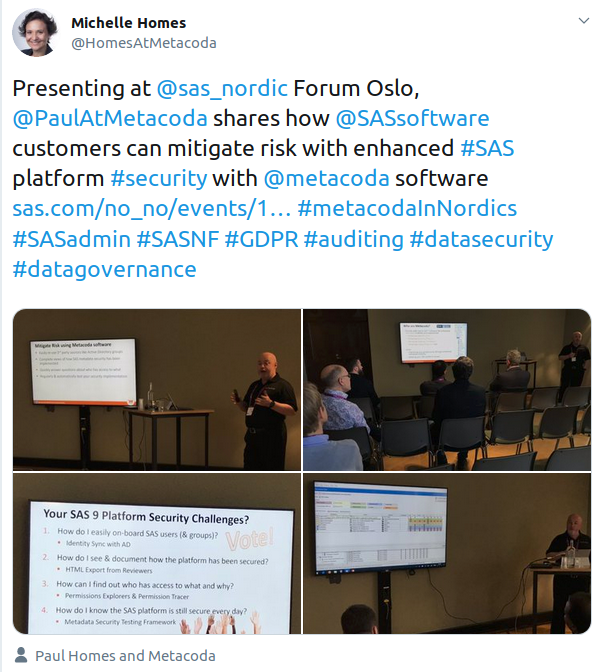 At SAS Forum Copenhagen and SAS Forum Oslo, Paul hosted a presentation to show how Metacoda helps SAS customers mitigate risk with enhanced SAS Platform security. 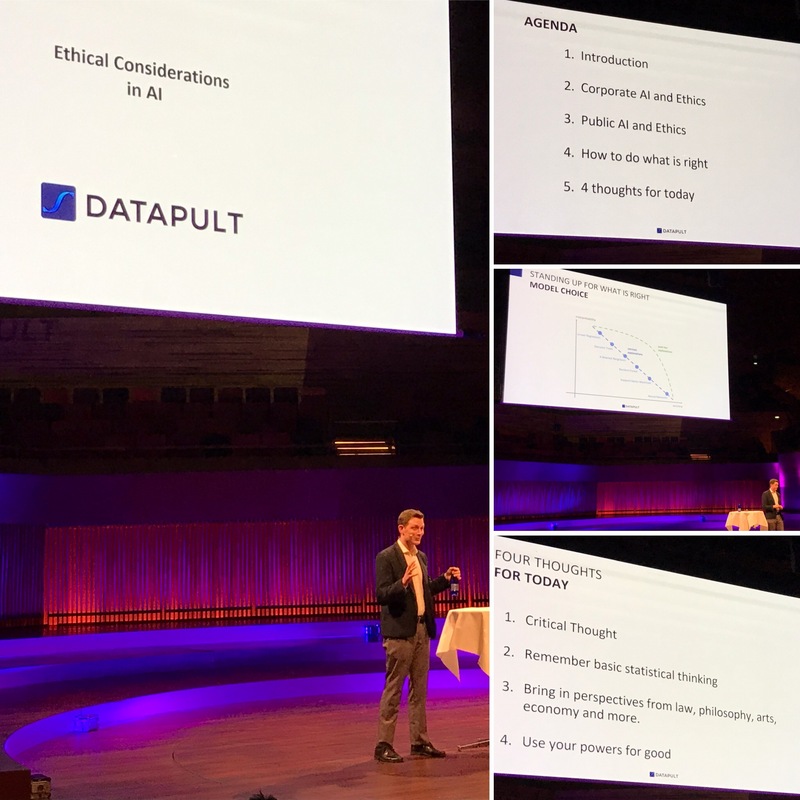 You can download a few slides from the presentation here. Or for a demonstration of Metacoda’s products, please contact us and/or visit us at the Metacoda booth at SAS Global Forum in Dallas in April 2019. 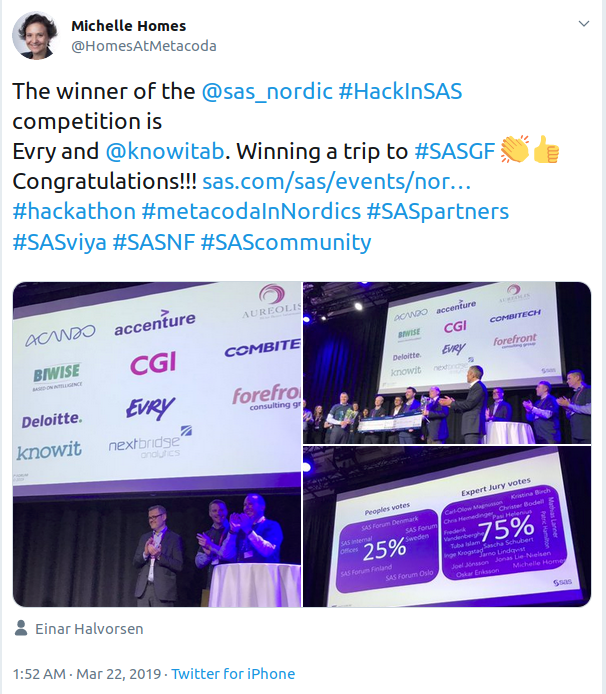 The Nordic Hackathon in SAS® Viya® 2019 (#HackInSAS) competition deserves special mention, as do its organisers Einar Halvorsen and Peter Lundqvist and their team. It’s well worth taking a moment to click on their clever and entertaining submissions; you’ll definitely be impressed! 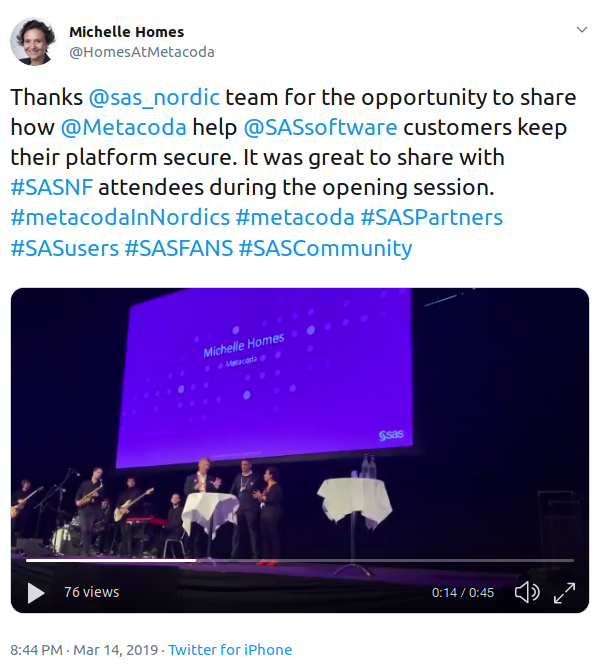 As we said in one of our final #SASNF tweets, the SAS Nordic Forum events peaked our curiosity in the learning, sharing, collaboration with #SASFANS, #SASpartners and @SASsoftware staff, and we thoroughly enjoyed the #datascience #escaperoom, #HackInSAS activities and being so warmly welcomed! Thanks again and we look forward to seeing you all again soon… meanwhile, stay cool friends!